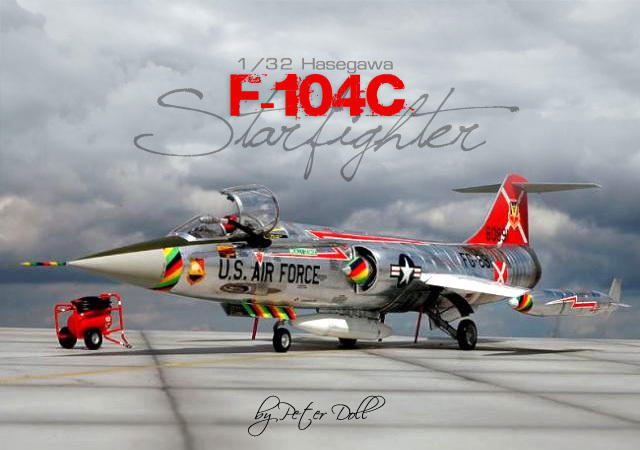 I've been wanting to build an edf f-104 for a while, and finally broke down and decided to do it. The wingspan is 30" clean, without tip tanks, and is 80" long. It's actually longer than my build table. The nose will be removable for transport. Sadly I couldn't find scale retracts for this size. If anyone finds some let me know. 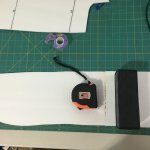 Im building it from dollar tree foamboard and will remove the paper, this should reduce weight. I found the plans online for free. 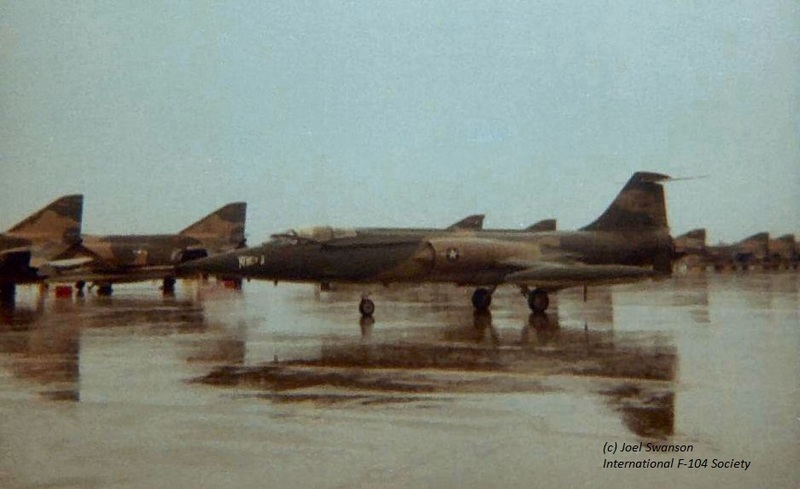 They are a multi view of a f-104 C and D, variants. As per the title, I'll be building the C variant. I wish I could have done the G but none were found. The plans also have the fuselage formers and wing roots. 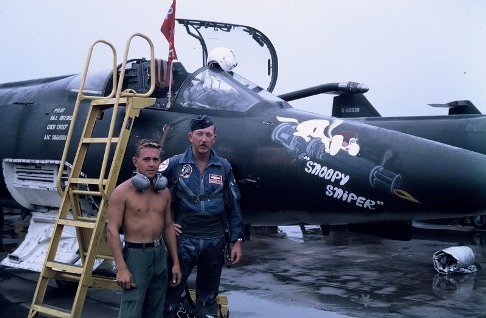 I will not be doing a scale airfoil. Please do give tips for building a nice scale fuselage. The plans I printed ending up being at 1700%. It was 99 "by 212.5" plan. 225 pages. Make sure you have plenty of ink! I will try to keep this updated the most I can. Oh, and I'm a little crazy, I'm great at flying 3d helis and prop planes, this will be my first edf and i am aware it's oddities while flying. I'll be watching this one. Love the 104. Using gorilla glue. Glueing the center "base" that everything else will attach too, on the other side there are markings for where the formers go. His F-16 was built using similar 3 views and you'll see how he laid out the formers, added additional material to help with sheeting, removed the centers of the formers to save weight, and sheeted with foam. 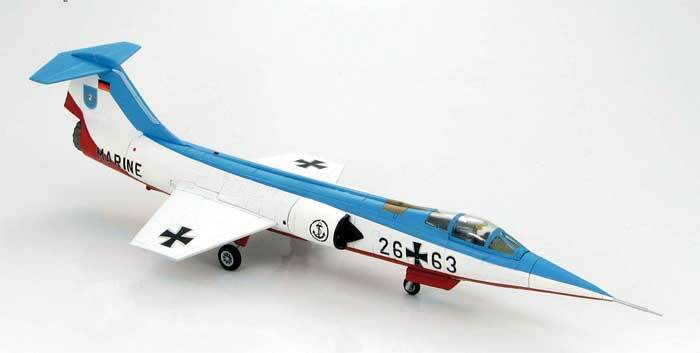 The F-16 is a more complicated shape than the F-104 and the technique he used will work fantastic on this model. Build light and I suspect she'll fly well as a belly lander. Are you thinking EDF or pusher? Pusher has the advantage of more efficiency and may let you keep things even lighter, but EDF certainly has the cool factor. Thank you for the link! I actually made a typo, yes I still plan on scale fuselage but I meant cockpit. Lol. I would like to do retracts and edf. But we shall see how it goes. What a grand way to enter the forum, with a build. Very nice. Would you mind sharing a bit about yourself in a brief intro? Where in the world do you fly? What is your experience in the hobby? Thank you for the link! I planned on doing retracts and edf, but I guess we will just have to see how it goes. I loved your 1/4 scale p-40 build, I'd do one if I could lol. I also planned on a decent scale cockpit too. I'm from the USA, all around really because of military family. I started off with a hobby zone super cub dsm about 3.5 or so years ago. Since then I've expanded to the 3D helis,I started to get into the 3d planes but the helis won, and I love it. In the Civil Air Patrol I've gotten a lot of experience not only in other aspects of the hobby but instructing and teaching others how to fly multirotors and planes, sadly we don't get to play with the helis. I've had a few years of being able to teach and spreading the hobby. For a while now I've wanted to not only do a scale plane but a jet. 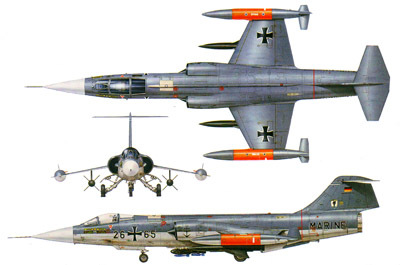 I love the f-104 and the f9f but I have a wingspan limit of 50", funny thing is there isn't a length limit so the f-104 came into favor. Actually, just recently was I introduced to scale flying and it's definitely different, but enjoyable, I can definitely say it's fun to be able to fly different aspects of the hobby. Any good ideas for a paint scheme? I'm thinking about one of the German Marine schemes, they look cool and also, I don't know how to get that shiny bare metal finish. Anyone know how? Also, awesome to have another heli guy on the forum. Have you ever considered doing a scale heli?